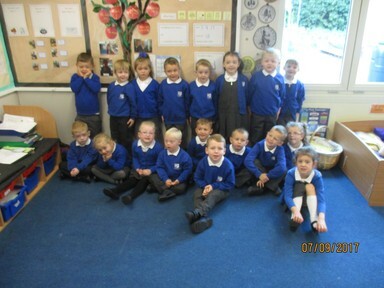 Children in Dragonflies had a lovely first day at school. Everyone was busy exploring and finding out about their new class. Here are some pictures to prove it! Arghhh! 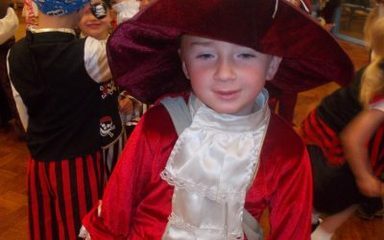 Foundation Stage pupils enjoy Pirate Day, even when it’s rainy. Ahoy there maties! 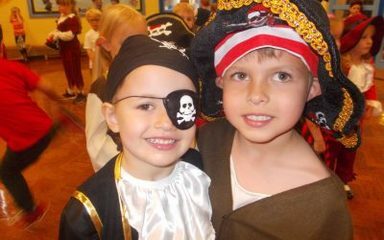 Caterpillars, Dragonflies and Ladybirds all had pirate fun today. They did pirate writing, made treasuure chests full of jewels, put messages in bottles, looked through telescopes and did pirate singing and dancing. Watch this website for more soon! Ahoy there maties! Caterpillars, Dragonflies and Ladybirds all had pirate fun today. They did pirate writing, made treasure chests full of jewels, put messages in bottles, looked through telescopes and did pirate singing and dancing. Watch this website for more soon! 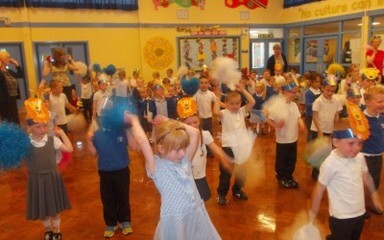 Nursery and Reception dance sensation! THE best part of empty classroom day was the visit of the ice cream van. Feast your eyes on these scrummy photos. Dragonflies pupils invited lots of special people to share empty classroom day with them. Everyone had good fun working outdoors in the warm sunshine. There was a teddy bears’picnic and of course a teddy sing along! There was plenty of teddy and hip wiggling! EYFS – If You Go Down To The Woods Today You’re Sure Of A Big Surprise! Forget Mary Berry! Forget Paul Hollywood! Dragonflies are star bakers when it comes to stirring up a treat for Little Red RidingHood's grandma!